It’s the ultimate snow experience for a skier or boarder. You’re standing in the middle of an untouched powder-kissed paradise; you click in to your bindings, take a deep breath of pure mountain air and contemplate the majesty of your surroundings. You push off and glide into exhilaration. Powder flies, adrenaline pumps and you soon become a tiny figure amongst the immense silence of the mountain world. At the bottom the helicopter awaits to lift you effortlessly to the top of another peak. Your guide will lead you to the day’s best snow conditions. At lunchtime a gourmet picnic with an unbeatable view then it’s time to do it all again. 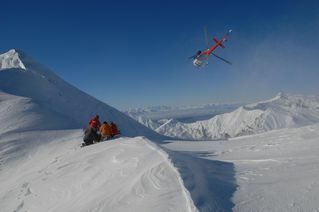 This is heli-skiing! Ski over 400 runs from 200+ peaks in 7 separate mountain ranges covering over 3000 square kilometres. Runs vary between 2000 to 3500 vertical feet of treeless skiing in sheltered basins, bowls and wide rolling mountain flanks through to steep and gnarly chutes. Our operations include the famous Harris Mountains and Buchanans Range, and Mount Cook region, New Zealand’s highest mountain. For everyone who thought heli-skiing was beyond them. Your guide will lead you to terrain suited to your ability for an unforgettable experience. 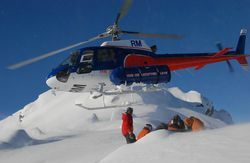 The classic day of New Zealand heli-skiing, exploring a variety of awesome terrain. Conditions conducive, you’re feeling strong, upgrade by taking an extra run or two. ‘Max Vert’ for advanced skiers/boarders who know they’ll push the limits! After 7 runs the choice is yours, go home or go for more runs. Some of our Max Vert groups ski 10-15 runs a day. An awe-inspiring scenic flight from Wanaka to the Mount Cook region starts the day. 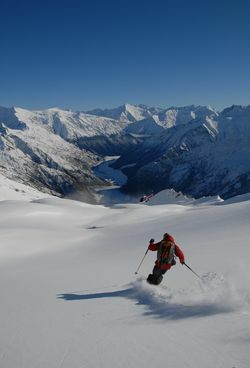 Mount Cook is New Zealand’s highest mountain and the area offers high altitude heli-skiing/boarding. 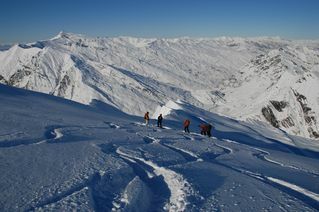 After 5 or 7 runs in this magnificent environment and an alpine lunch, your group may upgrade for extra runs before your flight back to Wanaka. Extra runs are available subject to conditions and agreement from a minimum of three clients per group. 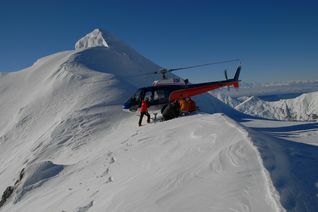 Private and multi day heli - ski charters are available allowing you maximuim choice and freedom. Dates: Daily, July to Oct depending on snow & weather. Duration: One day with multi day options.